When Samsung Galaxy Note 4 was launched at IFA 2014 as well as its own Malaysian launch event, Samsung has showcased a number of exclusive accessories made for the device. One of them is a back cover made by Swarovski but it was never made available to Malaysian consumer until today. 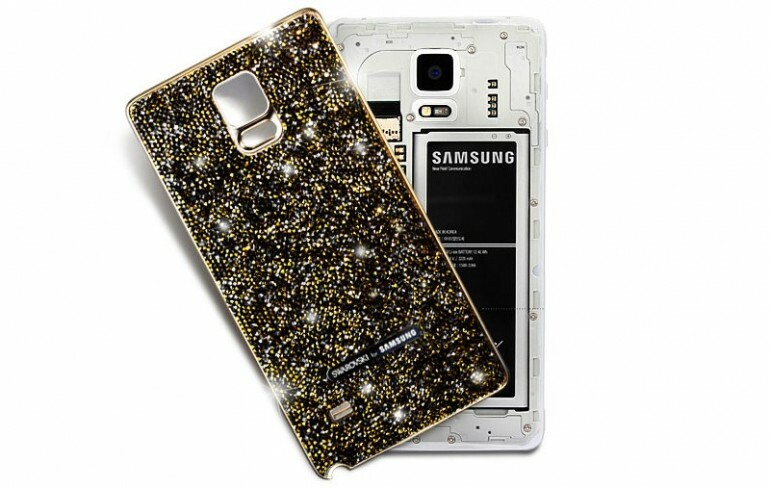 Before you can proceed to bling out your Galaxy Note 4, there is actually a catch: Samsung Malaysia is releasing 201 units of the Swarovski Galaxy Note 4 back cover in 67 Samsung Experience Stores throughout the country starting from today onwards. That means there are only 3 units at each of these participating outlets. Not only that, you have to grab the e-voucher from Samsung Galaxy Life app on your device first. Only then, you are able to redeem the Swarovski Galaxy Note 4 back cover at one of these participating stores. At the same time, the promo’s T&C didn’t mentioned if the case will be given away for free or comes with a certain price tag. As a reference and with the assumption that it is the same product that Samsung Malaysia will release out tomorrow, the Swarovski Galaxy Note 4 back cover is priced at USD 149.99 (RM 544) according to Samsung US online store. 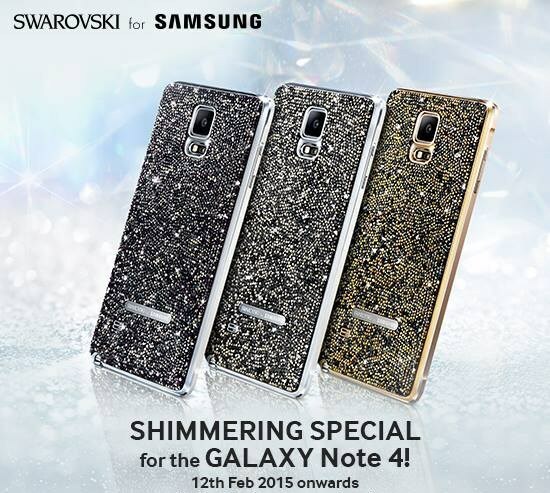 Hence, it is not going to be easy to obtain the shining Swarovski back cover for your Galaxy Note 4. To know more about the release as well as the list of participating Samsung Experience Stores, check out its Facebook event listing right here.